I need a little balance in my life. More on that later, maybe, but for now I'm reminding myself to count my blessings. Being able to sew is one of those blessings. I took some time to try to get another project off my WIP list. I'd been playing around with a quilt from an old strawberry tablecloth for awhile now. It's been a series of fits and starts. I decided yesterday that this is one for the books and the trashcan. Suffice it to say it's off the list permanently. I couldn't, however, get strawberries off my mind, so I started playing with some of the shapes in the tablecloth and made some little strawberry appliques. Strawberries would not make a good art test (you know those drawing tests..."you can have a career in art today" tests) because I can make a pretty cute strawberry. I fused those onto some blue kona cotton squares and went from there. This tablerunner is what I ended up with. It's BIG...about 60 inches long, but I like that in a tablerunner. My question is how should I quilt this? Can I do free motion quilting over the appliques or will that take away from them? Any ideas would be appreciated. I'd sure love to finish this one. I have a favor to ask too. I've entered my Radio Flyer quilt in the baby quilt contest at Superbuzzy. I'm not much for contests or awards, but the prize here is money for fabric. I thought about it for a long time and decided, what the heck. I sure would love to get my hands on some of their Japanese fabric. Some of my blog friends have entered too. There are a bunch of really nice quilts. Right now my quilt has no ratings or comments. It's a bit lonely on the list, so if you have a minute and would like to rate it or comment, I would so appreciate it. Just go here and scroll down a LONG way to find the Radio Flyer quilt. Have a great week. I just went and rated it, but the comments and rating I left didn't show up. I'll go back after a while to see if they've appeared, otherwise I'll do it again! 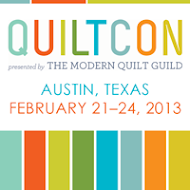 I absolutely will go to Superbuzzy and comment on your quilt, because I love it!! Have a great week! Not a great deal of knowledge about actual quilting (or even psuedo-quilting ;-) but I think doing squares around the strawberries would look great. Am just off to rate your radio flyer quilt. The Strawberry project is great - I love the shapes and colors. 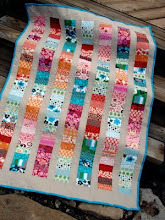 Also, I rated your Radio Flyer quilt on Superbuzzy, I think that's such a cool inspiration for a quilt! What a creative idea for the strawberries table runner. I agree, I think I'd free motion quilt around the strawberries but not on them or do cross-hatch/diamond straight line quilting all over. Either way, it's going to be super cute. Feels like June all over again! 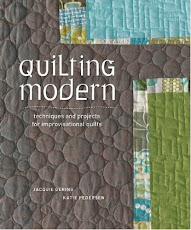 By the way, my post after my free-motion quilting class is up. I discovered that free-motion is more than just stippling--it's pretty much anything that you don't mark. So, is stippling what you mean? Because stippling in the background of the square and not on the strawberries would make the berries stand out a bit more, kind of 3-dimensional. Sounds like a good idea to me! 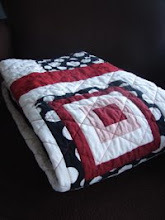 Your Radio Flyer quilt is sooo cute, I went over and rated it! For the strawberries, I think echo quilting around the strawberries would look really cool. The table-runner is so lovely! 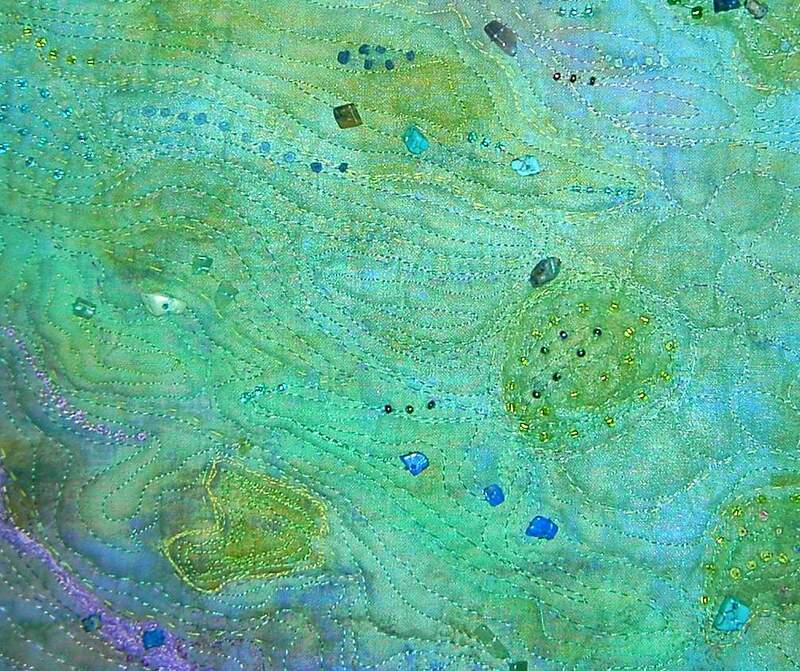 You could quilt around the appliques, I think it’s called echo-quilting. 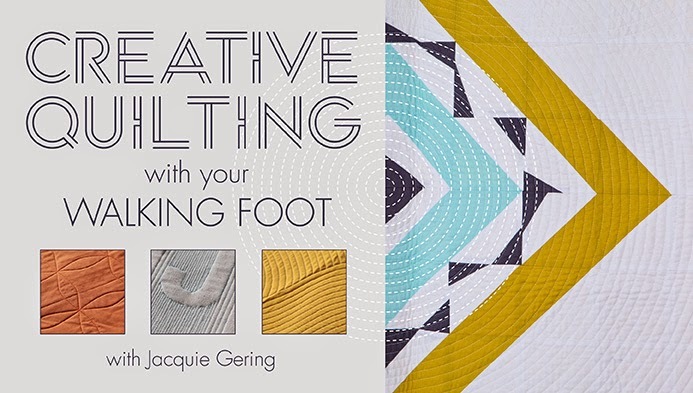 You could choose any kind of quilting I think! I will go to rate your quilt now. I hope you‘re doing fine. Take care! cute strawberries! i'm glad that you were able to "scrap" a project. liberating isn't it? i made a doll quilt top, set it aside, ended up hating it, sliced it up into scraps for my scrap box. it felt good. we should never be tortured by quilts. I was thinking about entering the superbuzzy contest too! i'm off to go leave comments on yours! I voted! It's a wonderful quilt. This table runner is great. I keep thinking it looks so "clean" and I am not really sure what I mean by that. Maybe it's the colors you used. Who knows? But clean and bright it is to me...all of those yummy strawberries and that bright, cheerful blue sky. 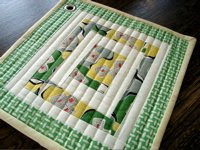 the table runner is lovely and the colors and simplicity of the fabrics add so much. I would just quilt around them and leave the inside of the strawberries as they are. I'd love to see the table cloth bits. Don' t toss them. Just put them away for another day ad your perspective may change. I'm entering a quilt too. Nothing vevtured nothing gained. Good luck with yours. loving those strawberries Jacquie!! what about quilting little strawberry tops around the strawberries like you have appliqued? BTW, your radio flyer quilt is no longer at the bottom of the list! Yay! I voted!!!! Hope you win! first of all, i love the table runner. i just finished up a quilt top using a pale blue kona cotton as sashing and a red and white border - needless to say, i love the color combination! i think however you quilt it you can't go wrong. you could even not quilt it at all and just give it a flannel backing. i know - not quilt? kind of blasphemous, but certainly an option! secondly - i went and gave a rave review of your radio flyer quilt. i also quickly glanced at about ten others and, of all the ones i saw, i would totally prefer yours. what a great quilt. Your table runner is adorable! I know you'll have tons of suggestions on how to quilt it. You know me and my lack of ideas. LOL I'm on my way to SuperBuzzy. Good luck with Radio Flyer!!! You'll do the right thing! No worries! Jacquie! I love radio flyer and your runner. Long ones are nice. The strawberries look absolutely lovely! As for quilting, I'm sure there are plenty of possibilities. One, of course, would be the good old "stitching in the ditch" all the way, or stitching the inner squares in the ditch and then stipple all around them. But, I too think that also just stippling all over it would be nice. It'll look great whichever you choose! Your strawberry runner looks delicious! It would go nicely with some strawberry jam I made this week. You could hand quilt with perle cotton around the inside of each strawberry block in a nice red, and then machine quilt the rest. Good luck with the competition - your Radio Quilt is awesome. I love that little strawberry table runner - just too cute! 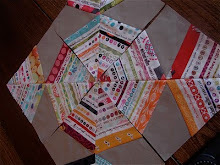 I am no expert on quilting so I would say - do whatever you feel is right. And I am off to comment on your quilt now! I love your strawberries!, I've been thinking of making one for my kitchen (the theme is strawberries) and I just love your table runner very cute, I agree on quilting arround the strawberries like eco and arround the lines. but any way it will be very cute. The strawberries are great. As far as quilting goes I always have a hard time with that. What every you do will be great. Rated your Radio Flyer. Your at the top of the ratings now. Way to go. heh heh heh, now it's like third on the list. you go girl! get your posse on the job!! about the table runner. I would quilt around the square that holds the strawberries....then do an allover everywhere else. leaving the strawberries unquilted will make them pop out. they're adorable by the way. awesome tablerunner for the strawberry festival in spring! I love marking things off the to-do list...even if it's just cause it ain't gonna happen! The quilt is great ! I have just visited them all - Goodluck!!! oh this is gorgeous, I've never made a table runner, but now I want one NOW! I love a spoonful of sugars idea of using red thread. This is really pretty - love the aqua and red together. As far as quilting, you CAN quilt over the strawberries - just watch the edges of the strawberries. OR you could quilt around the strawberries, and then do free motion quilting over the entire thing minus the strawberries. Love it!! I have no advice to offer on the quilting because your skill surpasses mine by a lot. But I love the berries. Such a nice design. I went to superbuzzy and rated your quilt. Good luck!! As far as the quilting goes...I don't know!!! But it looks like you got lots of advice on that already, I'm sure whatever you choose will look beautiful! I see the quilt is way up the top now..well done. I too am not sure when my comment will show up but I did it! This is so cute! I love the strawberries. 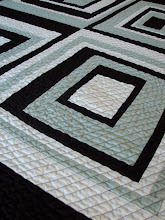 I think I would do a straight line quilting on this. I love your strawberry runner! I'm late weighing in but I would echo around once or twice and stipple the remainder - assuming you are still working with the bernina. 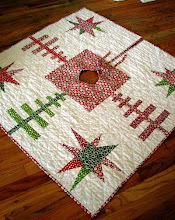 I have hopes for a Christmas tree skirt and table runner. . . SUCH cute strawberries!! I'd say free motion the whole thing, carefully outlining the strawberries...? Oh I do so LOVE those strawberries. Cuuuuute strawberries on your tablerunner! Love it!! good luck on the contest! I will go and try to comment, I looked at some of these the other day, cute stuff! This quilt is just gorgeous. I left a comment and rated it. I love it. I think it's adorable. Unfortunately I don't have any experience with applique myself so I'm not sure what you should do. I think I would probably quilt around them though. I would stipple the whole thing but just stipple around the strawberries, not over them. it's a darling table runner. you did a great job! I would probably quilt around the strawberries so they pop a little compared to the rest of the runner. It is great! It definitely reminds me of summer. I love that strawberry runner... it is incredibly sweet! I would just quilt around the strawberries... it would emphasis them even more. I love your strawberries and I would not quilt over them if they were mine. I left a comment on your Radio Flyer but it doesn't show up. I will check again later.